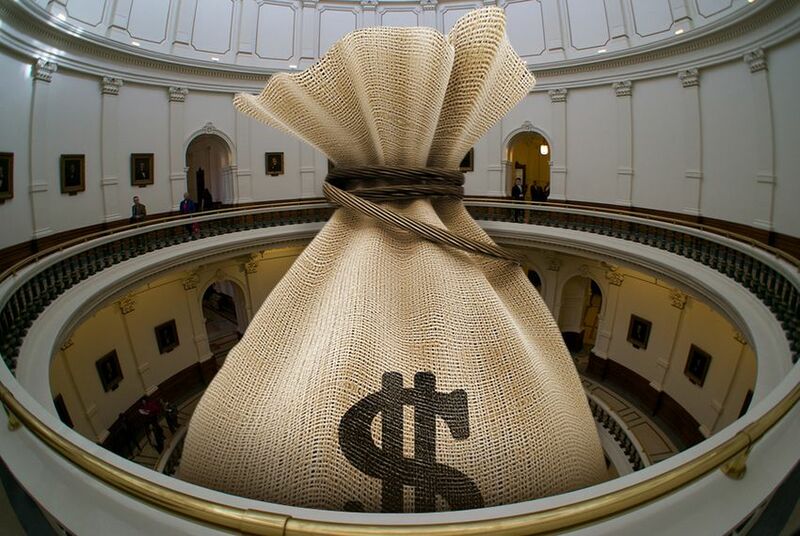 Texas House and Senate leaders are starting out the legislative session nearly $8 billion apart according in dueling budget proposals released Tuesday. Among the sticking points: spending on public education and border security. An hour later, Texas House Speaker Joe Straus outlined the lower chamber’s base budget, which included $221.3 billion over two years. The nearly $8 billion difference between the chambers — about $5 billion of which comes from state revenue — offers a starting point for leaders to begin negotiating how to spread limited funds this legislative session. The proposed House budget offers about $2.2 billion more in state funds for education than the Senate’s. The House proposal for state spending on health and human services is about $2 billion larger than the Senate’s as well. Nelson’s proposal would tap $103.6 billion in state general revenue, the portion of the budget over which lawmakers have the most control. That’s less than the $104.9 billion that Texas Comptroller Glenn Hegar estimates is at lawmakers’ disposal amid relatively dour economic forecasts. “While we will need to prioritize and make efficient use of our resources, I am confident we can meet the challenges ahead,” Nelson, R-Flower Mound, said in a statement. Straus’s budget proposal, on the other hand, would require about $108.9 billion — or $4 billion more than Hegar’s estimate. Straus said his base budget prioritized “investments in children and our future” while increasing state spending by less than 1 percent. “This is the first step toward producing a balanced budget that reflects the priorities of the Texas House and does not raise taxes,” the San Antonio Republican said in a prepared statement. Where House budget writers would find the additional $4 billion was not immediately clear Tuesday but state Rep. Drew Darby, a San Angelo Republican and House budget expert, hinted that his colleagues would consider tapping the state's Rainy Day Fund, which holds more than $10 billion. "It was designed to accommodate these times that we're in right now," Darby said of the fund at a panel discussion at a conference hosted by the Texas Association of Business. "It has been raided and reduced to near zero three times in the past." The gap between each chambers' starting point this session is significantly larger than it was when lawmakers kicked off their budget haggling two years ago, when less than $3 billion separated the earliest House and Senate proposals. Abbott ultimately signed off on a $209.4 billion budget that year, which included $106.6 billion in general revenue spending. This year, Nelson's budget spends about $3 billion less in general revenue than the current budget, while Straus' proposal would increase general revenue spending by more than $2 billion. The House budget sets aside funding for public school enrollment to grow by about 165,000 students over the next two years, according to Straus’s office. It also includes an additional $1.5 billion that could be spent only if the Legislature reforms the school finance system. Border security: Lawmakers approved a record $800 million in border security funds two years ago. Nelson’s proposal would maintain that $800 million boost, with nearly $733 million of that money would flow directly to the Department of Public Safety. Straus, by contrast, would put $663 million towards border spending, with DPS getting about $596 million of that sum. Medicaid: The Senate’s base budget funds Medicaid, the federal-state health insurance program for the poor and disabled, at $61.2 billion in federal and state funds. That’s about $0.8 billion less than Medicaid’s allotment for the current 2016-2017 budget, according to the Legislative Budget Board. Nelson’s proposed budget does not set aside money to pay for projected growth in the number of Texans receiving Medicaid coverage, nor does it account for anticipated cost growth due to medical inflation. That means the funding level would almost certainly be too low to pay the program’s costs and would require lawmakers to pass a supplemental budget to close the gap when they reconvene in 2019. The House’s base budget, on the other hand, offers about $0.9 billion more funds for Medicaid than were allocated for 2016-2017, totaling about $65.1 billion. That’s about $4 billion more in combined federal and state funding than what the Senate set aside. Child welfare: Last year, Gov. Greg Abbott, Lt. Gov. Dan Patrick and Straus approved a plan to hire new caseworkers and investigators at Child Protective Services and authorized pay raises in an attempt to reduce employee turnover. Both the House and Senate proposals released Tuesday maintain funding for those initiatives, with both chambers offering cash infusions around $260 million. Transportation: Here is another area where both chambers agree. Texas voters in 2015 approved sending additional money to the Texas Department of Transportation. Both chambers budgeted for the agency to receive the max $2.5 billion of those excess tax funds in 2018 and 2019. Patrick Svitek and Brandon Formby contributed to this report. In July, Texas' top elected officials directed state agencies to scale back their budget requests by 4 percent, seeking to further rein in state spending for the 2018-2019 cycle.